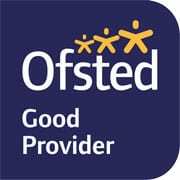 All staff at Tuxford Primary Academy are fully committed to safeguarding and promoting the welfare of children and young people. Parents can feel confident that careful procedures are in place to ensure that all staff and volunteers are suitable to work with pupils at the academy. We encourage parents, carers and children to talk freely about any concerns or worries that may affect educational progress. We recognise the importance of parents and carers knowing that their children are safe and happy, and know the impact that this can have on a child’s educational progress. Children will be taken seriously if they seek help from a member of staff. Pupils may be referred for additional bespoke support from external agencies who work closely with the academy, if necessary, with academy staff working in partnership with families at all times to inform them of additional support required or accessed for their child. However, staff cannot guarantee to consult parents first, or to keep children’s concerns confidential, if a referral must be made to agencies in order to safeguard the child’s welfare. If you have any concerns or queries about safeguarding, please email Mrs Witham at jwitham@tuxfordprimary-ac.org.uk or contact us on 01777 870482. Tuxford Primary Academy follow the Diverse Academies safeguarding policy, together with a local appendix which details all relevant contacts.